There is a moment when you realise that you are older. My moment was this morning watching the General Election results. In that moment I realised that my idealistic younger self had been turned and triangulated by the things that age brings; money worries, family worries, a sense that reaching for the stars is for kids and ‘life isn’t like that’. More than that, I was won over by the argument that only being centrist would win seats. That you could not offer a break with the norm without being wiped out. Thankfully that was followed by a moment where I began to think that maybe that isn’t the case. The Mea Culpa. I re-joined the Labour Party and voted for Corbyn as leader. I left prior to the second leadership election in despair at the shambles. At John McDonnell throwing Mao’s red book across the Commons, at Corbyn’s inability to communicate via the media, at that whole Vice documentary, at what I thought was a leadership that had taken a party hostage, at a hope crushed by left wing infighting, self-interest and smashed windows. Hindsight is a wonderful thing. Over the course of the last six weeks it has dawned on me that whilst those things happened, somewhere along the line the protagonists got hold of the party, shook it and pointed it in one direction. The manifesto leak, a thing that would have previously been the start of a balls up of monumental proportions, became a starting point for what has transpired overnight. Momentum, that double edged sword of hope and less savoury actions, has delivered a ground game that has energised and enthused a youth vote in a way no commentator believed was possible. The party leadership has turned the conventions of the Blair years on their heads. No longer the working classes put up with the policies to woo the middle class, the very reverse is true. Metropolitans like me desperate for an anti-Leave platform were ignored, the pitch was to respect the vote and that pitch secured gains in Wales, the Midlands and the North. We were put in the position of those folk throughout the Blair years, the calculation (correct as it seems) was we would go with it because an ordered, friendly exit versus the Tory offer was by far the better option. Look at the Lib-Dems for what a Pro EU platform might have delivered. Not only did that sweep London but it added places in the South we never anticipated. And everywhere, the youth vote, a vote of hope for a different future. So back to my hope. 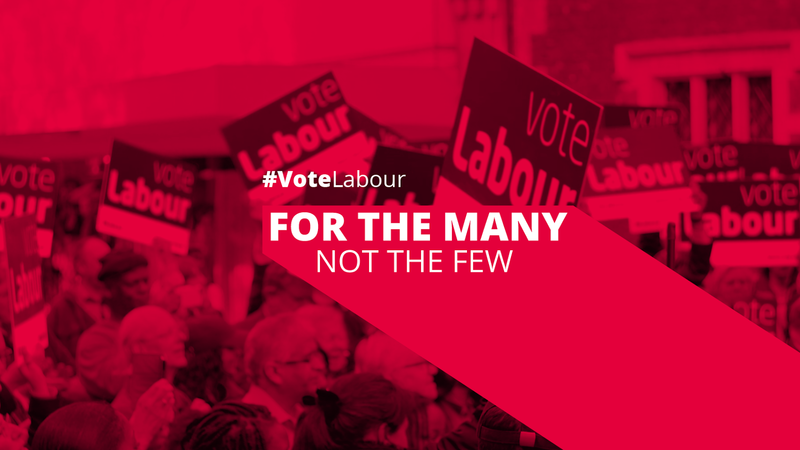 No longer a Labour Party aping Tory spending cuts and squeezing through tiny changes terrified that the electorate wouldn’t stand for any suggestion of tax rises or spending increases. Fair play to Corbyn, McDonnell and all for not being ‘older’, for still believing in something bigger than doing the best with the same tools as their opponents, for standing for what they believe in and arguing for a new way. Kudos to them for paying out detailed plans and ot pulling their punches, for saying borrowing is not always bad, that Keynes is not dead and is, in fact, the way out of this awful zero hours world we have created. I may not be 18 anymore but I felt part of that youth surge this morning, I felt that hope and the belief in another way. I intend to hold on to it. More than that, I intend to get involved properly. For the many, not the few. That is a good place to be.